I heard a rumor that there is an obesity issue in the US? Have you heard that too? Do you believe it? I have to admit that when I look around, I have to say, yes- I do. I heard a rumor that the obesity issue is getting worse not better. Have you heard that too? Do you believe it? I do. I heard that this obesity issue even affects our children – our kids – kids in elementary, middle and high school. Have you heard that too? Do you believe this? Sadly, I do. Support fair conditions for food and farm workers. 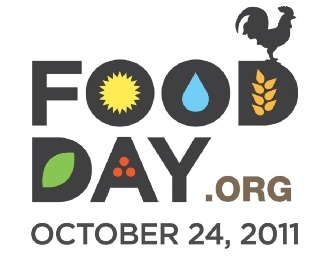 Many well known people support Food Day, people such as, Dr. David Satcher, MD, former US Surgeon General, Elle Krieger, Chef, Author and TV food host, Michael Jacobson, PhD, Executive Director of the Center for Science in the Public Interest. With activities in thousands of locations across the country, I’m sure you can find a way to participate. For more information, locations and activities please go to Foodday.org. We can all do more to promote healthy eating in our homes, schools and communities. The better we eat, the better our health, the better the feel. We can teach our kids a better way forward and offer the hope of a long and healthy life. Halloween is a fun time of costumes, candy, and carving of pumpkins. Unfortunately, one little slip and that fun could be over and you might be rushing to the emergency room. Accidental lacerations and puncture wounds to the hands and fingers are common injuries seen in emergency rooms around the country during this time of year due to Halloween pumpkin carving. Some of these injuries require surgery and months of rehabilitation, such as the injury Brad Gruner, starting quarterback for the University of New Mexico, suffered last Halloween when he sliced a tendon in the pinkie of his throwing hand and was out for the rest of the season. If you’ve ever carved a pumpkin before, you know from experience how slippery and tough they can be. It is all too easy for a knife to slip or for it to go through the skin and out the other side where your other hand might be holding it steady. Do yourself (and your family) a favor and follow a couple of safety tips this year to prevent an accident. Leave the carving to the adults. Kids under the age of 14 should not do the actual carving or cutting. They can draw on the pumpkin the design they want it to have but let an adult carve it. 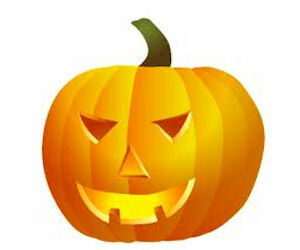 Use special pumpkin carving tools instead of kitchen knives. Pumpkin carving kits are easy to find in most stores in the weeks before Halloween. These tools are usually smaller, less sharp, and easier to control than a kitchen knife and less likely to cause a laceration or puncture wound. Make sure to use a well-lit, stable, dry surface to work on. Keep hands and tools clean and dry to minimize slips. While carving, leave the top on so you don’t stick your hand inside the pumpkin and risk cutting it. Decorate your pumpkins without carving them. There are many ways to decorate a pumpkin that do not require risking an injury. Kids can use markers, paint, and even glue on embellishments to create a fun or scary pumpkin design. Sensitizing children to how someone else feels is a significant and serious enterprise. Kids can’t do this alone – they must be supported, supervised, and encouraged to develop sensitivity and consideration, and parents play a key role in this endeavor. The true parenting challenge is to use those unplanned moments when a child’s behavior is unacceptable as a learning tool to become more responsive to the feelings of others. Besides, that’s always the best kind of lesson: one that helps the child discover for herself why she should be kind and realize her uncaring, insensitive actions may affect others by understanding how the other person feels. Martin Hoffman, a world-renowned researcher from the University of Michigan, discovered that the most common discipline technique parents of highly considerate children use is reasoning with them about their uncaring behavior. The parents’ “reasoning lessons” helped sensitize their children to the feelings of others, and realize how their actions have consequences. It’s an important parenting point to keep in mind in those moments when we confront our own kids for any uncaring deed. Here are seven ideas you can use almost anytime to tune up your child’s awareness of the feelings of others. One of the simplest and most effective ways of enhancing any behavior is by reinforcing the action as soon as it happens. Sensitive, empathic, kind acts – even small ones – can make a big difference in people’s lives, so point them out to help your child see the impact his actions made. Pointing out the facial expressions, posture, and mannerisms of people in different emotional states sensitizes your child to other people’s feelings. 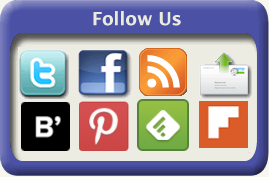 As occasions arise, explain your concern and share what clues helped you make your feeling assessment. One of the easiest ways to nurture your child’s sensitivity is to ask her to ponder how another person feels. As opportunities arise, pose the question often, using situations in books, TV, and movies as well as real life. Each question forces your child to stop and think about other people’s concerns, and nurtures sensitivity to their needs. Ask those “how would you feel” type questions often. Michael Schulman and Eva Mekler, authors of Bringing Up a Moral Child, reviewed studies and found that an effective way to increase sensitivity is to ask children questions to help them discover people’s needs and feelings. Such questions were found to expand children’s awareness of what people might be experiencing. As a result the children became more sensitive to how they might be able to help. Parent: Look at that little girl crying in the sandbox. How do you suppose she feels? Child: I think she is sad. Parent: What do you think she needs to make her feel better? Child: Maybe she could use someone to hug her because she hurt her knee. Simply explain what concerns you about the behavior, and how you feel about uncaring actions. 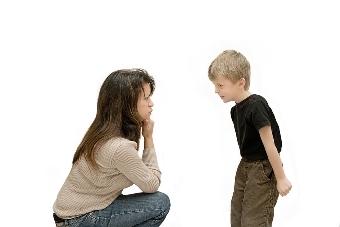 This is the moment you make sure your child clearly understands what is wrong about the behavior, and why you disapprove. And you’ve helped your child shift his focus from himself to considering how his actions can impact other people. Martin Hoffmann’s research in moral development found that parents who consistently use “reasoning-type stretching lessons” raised more sensitive, caring, empathic children. Another option is to demand your child apologize sincerely to the recipient. This might be drawing or writing an apology or apologizing in person or with a phone call. And keep on in your quest! Find those day-to-day moments to boost your child’s sensitivity. It’s our surest answer to reducing peer cruelty and making the world a kinder and more caring place. Is your wife a strict disciplinarian, while you prefer to let things slide? Is your husband a yeller, while you are an “inside voice” kind of mom? When you have different parenting styles, it can often feel like you’re at odds with your spouse. Here are strategies from Harvey Karp, M.D., author of The Happiest Toddler on the Block (Bantam), for navigating this common parenting conundrum. Don’t sweep your differences under the rug. To raise happy, well-behaved children, it’s crucial to try to find common ground. Otherwise, kids get mixed messages and quickly learn which parent will let them get away with more. Once a month, hold a “parents only” meeting to discuss your discipline differences. This is your chance to be honest about your concerns. “Write down two or three things each,” says Dr. Karp. “You and he get a turn without interruption. The only ground rule is you both have to listen with respect and speak with respect.” Your goal isn’t to sway each other, but to ultimately come up with some rules that you both feel comfortable enforcing. Don’t disagree in front of your kids. “Kids look at us as a loving and safe force in their lives,” Dr. Karp says. 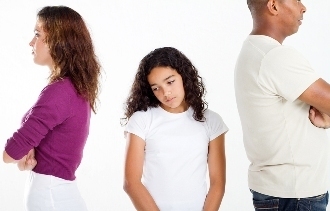 “Seeing parents arguing, especially about them, shakes them to their foundation.” Kids might get angry or frightened and feel like they’re the “cause” of the parents’ problems – which lowers their confidence and self-esteem. So if you object to the way your spouse is handling a situation resist the urge to say anything until you are alone. Find creative ways to compromise. Let’s say it drives you crazy that your husband yells at your child when she exhibits normal toddler behavior, like sticking her hand in the cat’s food bowl or pulling away from you while walking on the sidewalk. It drives your husband nuts that you’re lax about situations that could put your child at risk for physical harm. Try to decide together that it’s OK for him to raise his voice when Katie’s darting toward traffic or engaging in other dangerous behavior, but for mild, age-appropriate infractions, he needs to try distraction before yelling or scolding. Keep family members out of it. “Don’t bring up each other’s family,” says Dr. Karp. For instance, avoid making remarks like, “Of course you yell and scream; you’re just like your father.” Besides being disrespectful, this behavior forces your partner into a defensive mode, making it harder to move forward and find the best solution. In support of the School Lunch – Let’s Grow Healthy theme, MAT@USC has created an infographic on childhood obesity with statistics sharing lifestyle, nutritional, activity-related and consequential facts relating to children. It is an easy to read (and pretty disturbing) cause and effect diagram that shows how we got here and what can happen if we continue. I think it’s time we started paying attention to childhood obesity… What do you think?? ?